TOKYO -- Honda Motor Co. would like to add a crossover to its European portfolio, the company's boss said last week at the auto show here. "We are very envious that the Qashqai from Nissan is selling very well so we are thinking about doing something like that," CEO Takanobu Ito said. The CEO did not reveal an estimated launch time for a potential Qashqai rival, which has been key to Nissan's rising European sales. Through the first three quarters, the Qashqai alone outsold the entire Honda lineup in western Europe 153,079 to 105,918, according to data from market researcher JATO Dynamics. After 10 months, Honda sales in Europe were down 19 percent to 128,333 units, giving it a 1.1 percent share of the market while Nissan's volume was up 16 percent to 390,849 units for a 3.4 share, according to industry association ACEA. Honda's European volume has been declining from a high point of 311,743 in 2007 and had a 1.9 share, according to ACEA data. That was the last year Honda was profitable in Europe. To start reversing the negative trend in Europe, Honda next year will launch its new Civic compact, new CR-V compact SUV and a new 1.6-liter 120-hp diesel, which the carmaker says will offer CO2 emissions of less than 100 grams per kilometer. The engine, which Honda says is the lightest in the segment at 180kg, will be produced at the automaker's factory in Swindon, England. 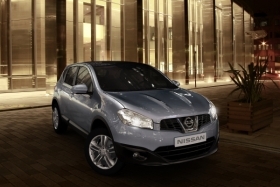 Since production began Dec. 5, 2006, Nissan's plant in Sunderland, England, has made more than 1 million Qashqais. Ito said another product priority for Honda is to boost sales of it Jazz subcompact. "Then we need to think about further expanding the Jazz series of vehicles," the CEO said. "And beyond, maybe there will come a time when we will consider A-segment cars for Europe." 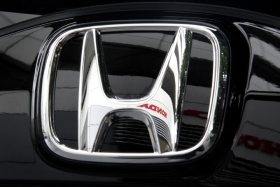 Honda doesn't sell minicars in Europe or minivans, which Ito said were also under consideration as part of the automaker's bid to push European annual sales, excluding Russia and Turkey, back above 300,000 and market share above 2 percent.